I have just finished reading your book (yes, I know I'm a bit late with this one. I'm not a slow reader, I've just been busy. Plus it costs less now.) and, like with The Da Vinci Code and Angels and Demons, I got swept away with the mystical secrecy and the code breaking elements. However, I would like to know what IS it with all the italics? There were so many in places that they were making my eyes dance. It didn't help AT ALL! Also, I think you may have got caught up in the glamour of the movie world. 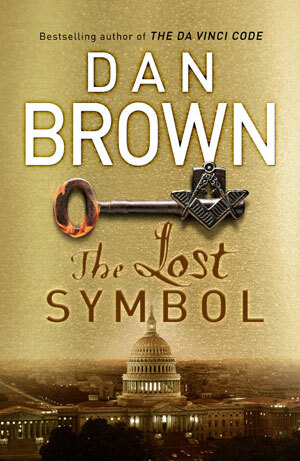 Yes, it's fantastic that you've had two of your books made into films but this read as though Ron Howard was looking over your shoulder, pointing to a place on your laptop screen saying, "Camera shot to outside of building" or "Cut to scene inside the US Capitol building" or "set: light shining on pyramid, reflecting onto Robert Langdon's face". The discovery of the secret recipe for the batter on Kentucky Fried Chicken. And finally, I managed to finish Deception Point whilst on holiday earlier this year. I made myself read it all after a couple of years of trying. Not one of your finer works. That is all. Thank you.